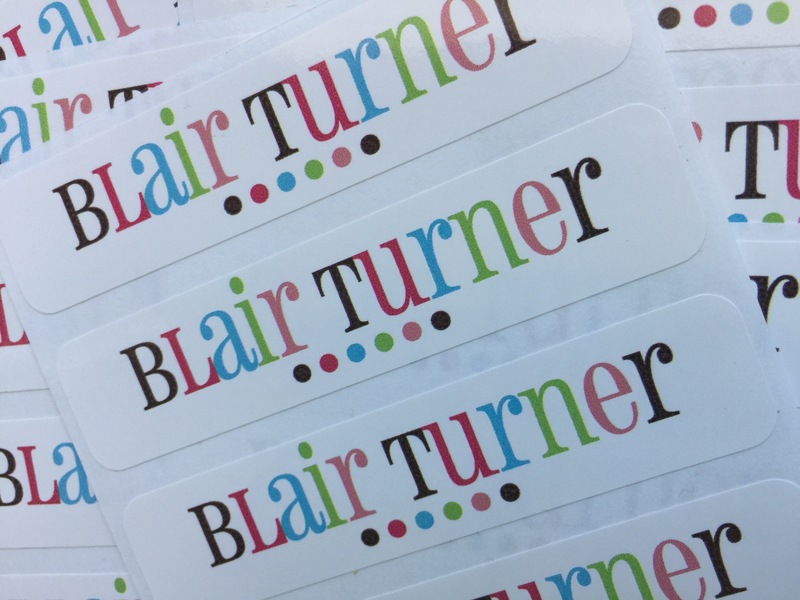 Designer, waterproof name labels for use on sippy cups, baby bottles, lunchboxes, snack cups, plasticware, books, movies, games, cell phones, pool toys, office supplies, laptops...anything that leaves the house! Perfect for daycare, mother's day out, preschool, grade school, church, summer camp, baby showers and birthday gifts! 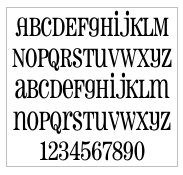 Label with style™! large size approx. 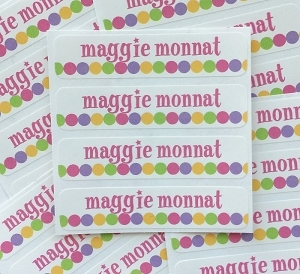 3 1/2" x 3/4"
I ordered the Good Cheer waterproof name labels for both my girls' back-to-school labeling. Not only are they adorable, but they've withstood daily dishwasher exposure, being thrown around the lunch room at school, and who knows what else. I'd buy them again in a heartbeat. I love these labels! This is our second set only because my younger daughter wanted her own. Our previous ones from last year are still holding strong & lasting through the dishwasher without losing much color or "stickiness"! Great product! 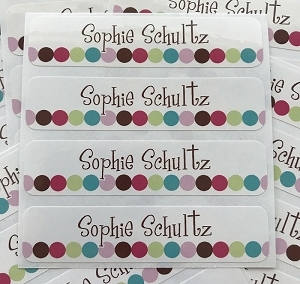 I am overall really satisfied with how the labels came out-and the ordering process was made really easy! I intend on giving mine as a gift to a friends child and i'm sure she's going to be very happy with them! These labels are awesome!! I highly recommend them if you have a child in daycare. We put then on all of our daughter's bottles and bottle lids and we have washed them several times and they do not come off or fade!!! I love these and will definitely buy more when I need them! 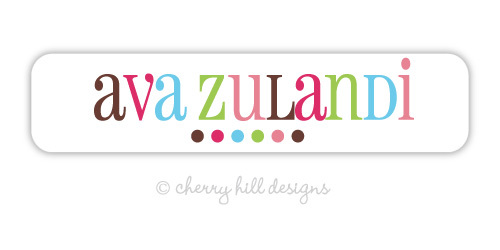 We love these labels. I received them as a gift for my kids and now I bought them as part of a baby gift. It is so great to have something like this for bottles, bags, etc. Very good quality! Thanks!